We Can Help You Get Passports & Visas - FAST! We Expedite Passports and Visas! If you need a passport or visa FAST in order to meet your travel deadline, call Passport Rush. We will guide you through the process step-by-step in the acquisition, renewal, or replacement of your passport or visa. We can also help with passport name changes. We are the go-to company for overnight and same-day turnaround passport or expedited visa services. Normally it can take 6-10 weeks or more to process a passport. We can expedite a passport or visa in as little as 24 hours from when we receive your materials. Don’t delay. Call us now at (646) 569-9384! 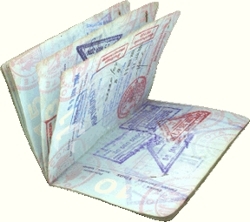 Not sure what kind of passport or visa service you need? We can help. Call us today at (646) 569-9384! Copyright © 2018 passportexpediting.net All rights reserved.